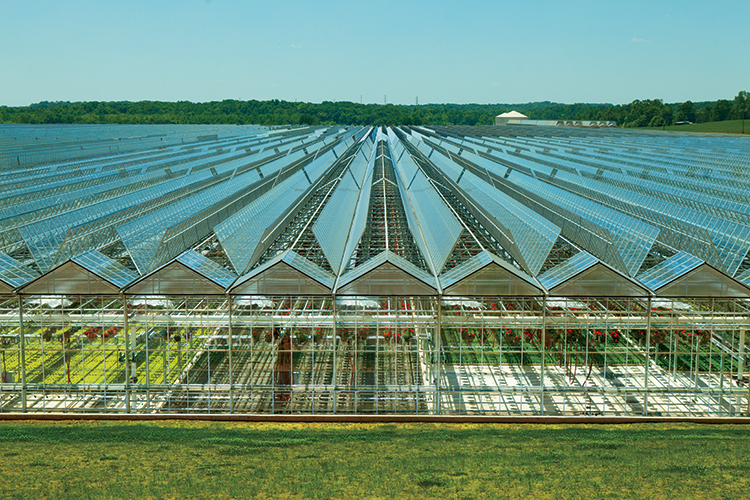 The largest single-site greenhouse in the country is located right here in the heart of North Carolina. In fact, if you’ve ever planted a garden, chances are you purchased a product from Metrolina Greenhouses in Huntersville. 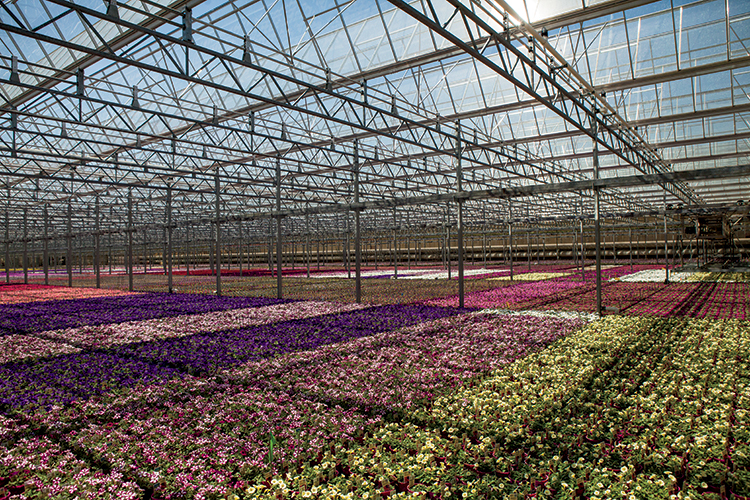 Metrolina Greenhouses is a family-owned wholesale plant and services company started in 1972 by the late Tom Van Wingerden and his wife, Vickie. 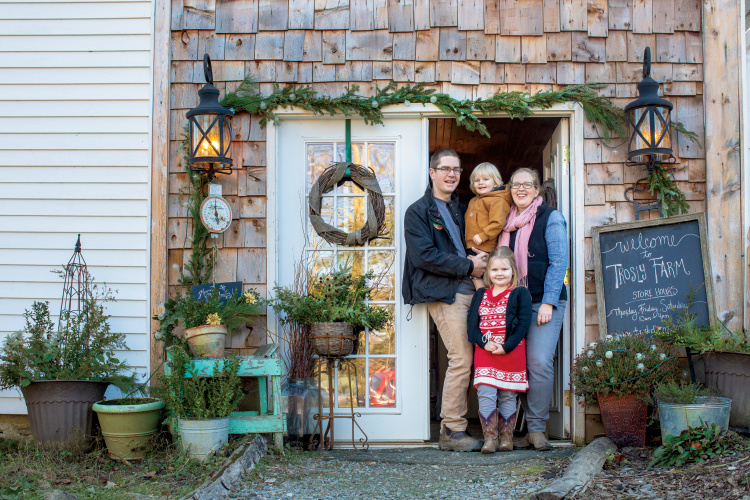 As the story goes, the Van Wingerdens moved to the U.S. from Holland in 1972 with $5,000, the clothes on their backs and a dream of opening a greenhouse. 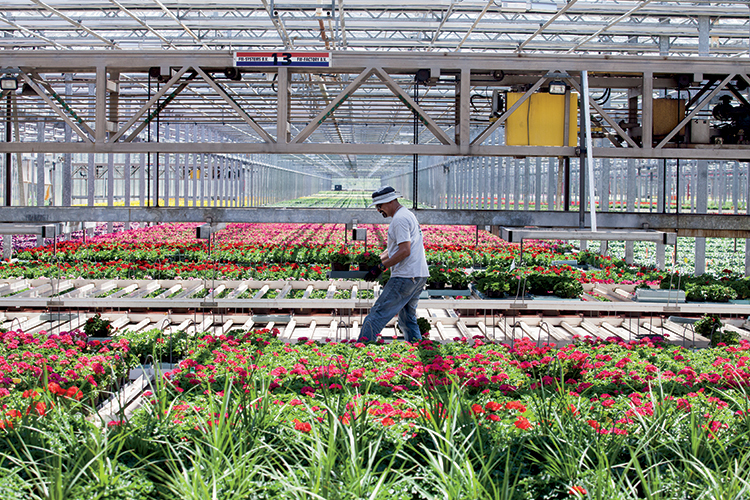 Today, Metrolina Greenhouses has 162 acres of heated greenhouses and more than 600 employees. The business serves 1,400 big-box retailers and home improvement companies, and clocks in with $185 million in annual sales. 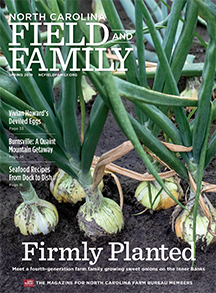 A penchant for innovation is the bedrock of Metrolina Greenhouses’ success. 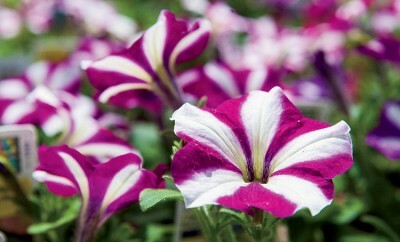 Over the years, Metrolina Greenhouses has implemented a variety of industry-leading technologies. The company uses recycled/recaptured water, courtesy of a roof and pond system that allows it to collect and store 3 million gallons of water in 25 acres of retention ponds. Greenhouses feature an open-roof design, which helps to cool 75 percent of the greenhouse. In colder months, the company uses wood-driven boilers that burn biomass fuel, allowing Metrolina to produce more than 2 billion BTUs of heat while being environmentally friendly. North Carolina is certainly the place for plant-related businesses. 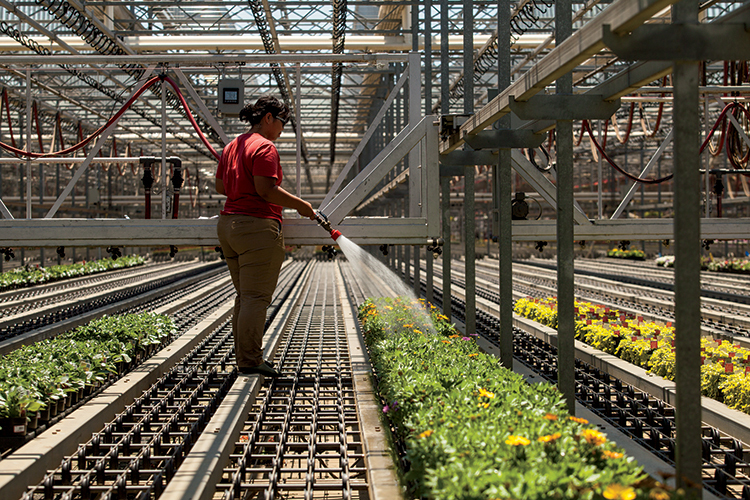 According to the North Carolina office of the National Agricultural Statistics Service, total sales for the state’s greenhouse/nursery business in 2012 were $719 million, placing North Carolina fifth overall in the country. 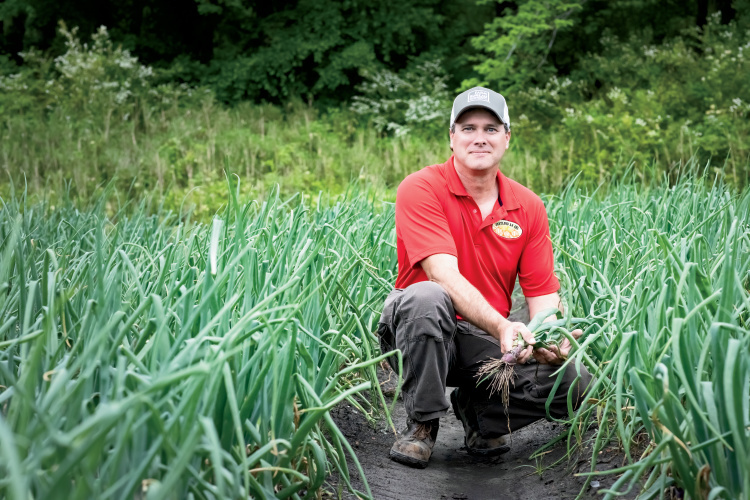 Bill Glenn, marketing specialist for North Carolina Department of Agriculture and Consumer Services, says during the last 30 years, North Carolina’s industry has been one of the fastest growing in the country for a number of reasons. North Carolina features a diversity of climates and a broad range of soil types, which allows the growth of nearly every species of ornamental plant used in the Eastern U.S. And it helps that these climates, though diverse, aren’t extreme. This allows for long growing seasons and relatively mild winters for those companies that are growing outdoors, and reduced heating and cooling costs for those growing plants indoors. Combine that with the state’s excellent transportation network and the fact that North Carolina is within a day’s drive of nearly two-thirds of the country’s population, and you have an industry poised for continuous growth. 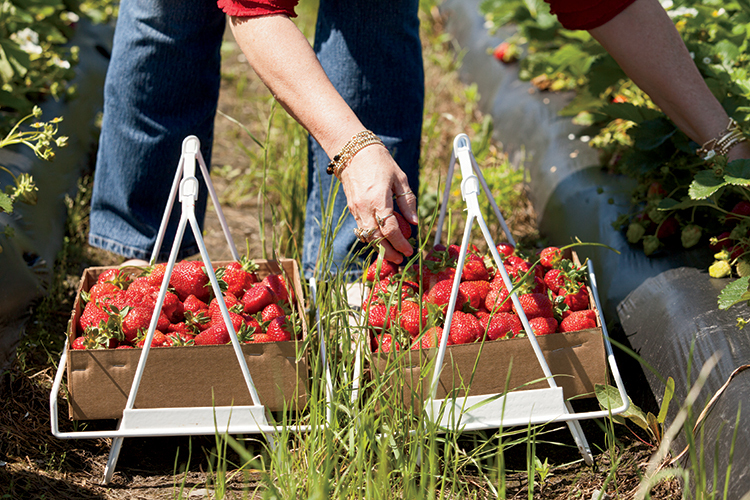 Glenn says the state is a greenhouse leader for another reason – one that Metrolina Greenhouses emulates. Metrolina Greenhouses’ Tom Van Wingerden was a member of that group. After spending nearly a decade in the business selling mainly to food chains, he set out to innovate the industry in the 1980s. Famous for saying, “You either automate or you stagnate,” he created many of the technologies greenhouses rely upon today, including the automated transplanter – a machine that can pick up 36 plants and plant them at once. Eelco I. Tinga was another industry leader. Tinga Nursery is nestled near Wilmington in Castle Hayne and has been a working nursery since 1913, back when Tinga cleared property with a mule and dynamite, and plants were watered by hand. Now operated by Tinga’s sons and grandson – including Eelco Tinga Jr., New Hanover County Farm Bureau President – the company is the largest nursery on the coast and sports a modern facility, complete with computerized irrigation systems, heated greenhouses and a website that offers an in-depth plant guide. Yet another leader is Vaughn Willoughby, who opened Living Landscapes in 1982, along with co-owner Chester Honeycutt. Living Landscapes, based in Graham, serves the Triad region and is one of the largest nurseries in Alamance County. 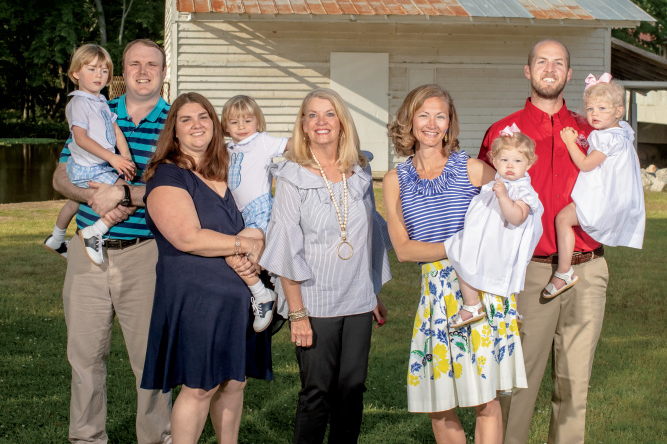 An offshoot of The Garden Shop, which opened in 1970, the business is operated solely by Willoughby, who serves as Alamance County Farm Bureau President. Living Landscapes offers more than 400 varieties of shrubs, trees and seasonal plants, and a variety of landscaping services, plus an informative website. Overall, North Carolina has earned its reputation as a lush, green state with plenty of flower power. The next time you indulge your green thumb, take a moment to remember the innovators who helped make that gorgeous garden possible.